The online gambling industry is often described as vibrant, thought-provoking and entertaining, yet it can be very unscrupulous at times. This is why we came up with a unique concept by awarding ‘‘The Court Jester Badge’‘ to any online casino that operates outside the ambit of ethical behaviour or has questionable terms and conditions. 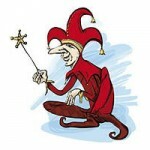 The Freedictionary.com describes the court jester as a buffoon or fool. During medieval times the jester entertained royals with his antics. 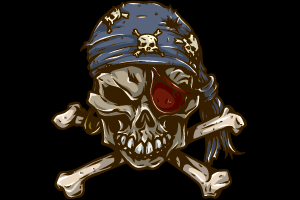 Before we award an online casino with the ”Court Jester Badge” there are certain criteria we take into account. The badge will only be removed once the operator addressed the complaint or the lousy clause by notifying us in writing that it has been removed or updated. We scour popular casino forums like Gambling Portal Webmasters Association (GPWA), Affiliate Guard Dog (AGD), Casinomeister.com and patrol the virtual highway for any operator that behaves in an unethical manner. This is unacceptable and also why it’s at the top of our list. When an operator gives the player the run-around by delaying payment it bleeds credibility. 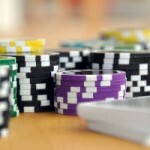 Without players an online casino will not be able to survive and thrive in a very crowded market place. If the player contacts us, has a legitimate case as to why the operator refuses to pay him or her, we will investigate the matter on behalf of the player. 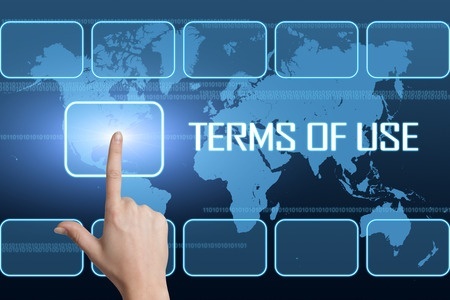 What exactly are lousy terms? (i). Popular ones include exceedingly low withdrawal limits. A shining example is the low withdrawal limit of Luckywinslots.com: ”The maximum withdrawal amount per account is (i) $1,500 / €1,500 / £1,500 per week, and (ii) $3,000 / €3,000 / £3,000 per month, except in the case of progressive jackpot winnings.” This clause merits the ”Court Jester Badge”. Potentially the low withdrawal limit ”encourages” players to play back huge wins. I’m not saying that this is the case but it could be seen as a possibility. You can read our review of the casino here. (ii) Steep wagering requirements attached to the deposit bonus (80xb). If the wagering requirements are steep it makes cashing out very difficult-in essence it encourages players to deposit more cash. (iii) Progressive wins included in the withdrawal are paid out in very low installments. Here’s an example: Peter wins the progressive jackpot of $250,000 at XYZ Casino. Management congratulates him on his spectacular win and notifies him that the cash he has won will be paid out in increments of $5,000 per month until paid in full. Many Playtech online casinos are guilty of the latter clause. Before you play a progressive game make sure that progressive wins are excluded from the withdrawal limit. Any seasoned casino affiliate or gambler will tell you that this is the beating heart of any business. 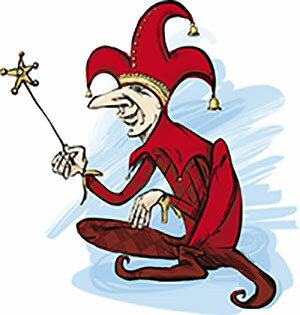 If an operator is guilty of poor customer service the Jester will start prancing about. Normally most operators, the reputable ones at least list contact numbers (email address, live chat, snail mail or telephone numbers) under the ”Contact Us” section on their websites. Reputable sites normally respond to email queries within 6 to 12 hours. Anything longer than this is unacceptable. Another thing that irks me is when the live chat operators are incompetent or rude. In other words when they can’t even answer the basic questions about the operator’s promotional offers and general terms and conditions. Most online casinos have a FAQs (Frequently Asked Questions) where they give a brief overview about the site’s banking methods, security features, software, games portfolio, promotions, system requirements, game rules, dispute resolution and so forth. If it does not have a Frequently Asked Questions section it’s in your best interest to take a wide berth. Software glitches are part and parcel of any casino operation. Even the best operators experience software glitches from time to time. Before you sign up make sure that the operator is powered by a reputable software vendor like Betsoft, IGT, Microgaming, Net Entertainment, NextGen or Playtech, to name but a few. If the casino experienced a software malfunction and refuses to do anything about it drop us a note. Operators also tamper with the RNG of certain games. ThePogg exposed the SkillOnNet software discrepancy where Slots Magic was guilty of rigging its video poker games. You can read more about it on this page (http://www.cassaon-casino.com/blog/judge/). Affiliate managers are the conduit between the internet gambling site and its affiliates. There has been a case recently where a former affiliate manager (Constantine Korniliou) of LeoJackpot Casino blew the whistle on the unethical behavior of its owner, a chap by the name of Jo Arild Remme. Korniliou sent a mass email out to various affiliates notifying them about Remme’s antics. In his email he stated that Remme, de-tagged the players referred by affiliates from their accounts and siphoned them off to his own portal network. Problem is Korniliou does not have any conclusive evidence to substantiate his claim. The Internet is littered with less than stellar operators who refuse to pay their players and affiliate partners. If you’re a casino affiliate and the affiliate program refuses to pay you, shoot us an email. Sadly, the online gambling industry sorely lacks transparency. More often than not we know how the affiliate managers look like but the managers and owners still remain ”faceless” and lurk in the shadows. Our aim is to make our industry more transparent and a safer place for fellow affiliates and players. We’d also like to know a bit more about the owners running the online casinos. We encourage the owners to add a short introductory paragraph about themselves in the ‘About Us’ section on their websites. It’s a long shot I know and that it is not going to happen overnight but it’s definitely a step in the right direction. I also believe that if an operator is more transparent not only will its level of service increase but less player shaving will occur.